Baruch Spinoza (/bəˈruːk spɪˈnoʊzə/; born Benedito de Espinosa; 24 November 1632 – 21 February 1677) — later Benedict de Spinoza — was a Dutch philosopher. The breadth and importance of Spinoza's work was not fully realized until years after his death. By laying the groundwork for the 18th century Enlightenment and modern biblical criticism, including modern conceptions of the self and, arguably, the universe, he came to be considered one of the great rationalists of17th-century philosophy. His magnum opus, the posthumous Ethics, in which he opposed Descartes's mind–body dualism, has earned him recognition as one of Western philosophy's most important thinkers. In the Ethics, "Spinoza wrote the last indisputable Latin masterpiece, and one in which the refined conceptions of medieval philosophy are finally turned against themselves and destroyed entirely." Philosopher Georg Wilhelm Friedrich Hegel said of all contemporary philosophers, "You are either a Spinozist or not a philosopher at all. 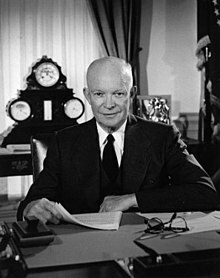 Mathematics President Dwight Eisenhower famously warned the U.S. about the "military–industrial complex" in his farewell address. Above, we see the MR. and MRS. Bedroom dermatology government agnecy of the Ifra-Red Spectrum (IRS) thta collects taxes from the optical spectrum activities of math , physics and other serious science SYMBOL concepts used by scientists with consciousness about REALITY .. outside the Bedroom Party life promoted by Washington, DC policies. Thus intellectual activity and the two-straight line axioms and their Euclidean geometry deductions get TAXED and bedroom intellectual thoughts using one staright line (bio-math device) of making a BABY is rewarded with a TAX deduction. This is citizen biased ethics perceptions of fair play in year 2014.
member of a PDS --> human Partitioned Data Set in Wisconsin. Fe = Females and their menstruation PERIOD used as Fe = Ferrous oxide atomic control devices to control social thoughts about the PERIODIC atomic table. the concept: PERIODIC atomic table has an overlap with the concept: menstruation PERIOD . The VIrginia TECH English department female professor are aware of word manipulations of the atomic ENGLISH langauge .... and consequently the STUDENTS shot and killed with bullets at the NORRIS HALL shooting ..... where..... from Nature's point of VIEW .. those STUDENTS blood flow was just a menstration period with blood iron HEME group Fe(ii) ions containing the atomic English alphabet 26 letters of atomic number 26 ferrorus oxide IRON. The univeristy's OMITS the explanation of the deeper reasons behind the shooting ..... an expression of Nature's biochmesitry language systems war with arrogant ENGLISH, humanities, and socioal science departments ........... as outlined by C.P. SNOW in his 1959 lecture "TWO Cultures".. Thus we see that SPINOZ in Year 1670 helps us understand how the Department of Energy spins inaccurate tales about modern social science happenings and events .... and they refuse to communicate with those serious thinkers that study the C.P.SNOW message and the year 1901 Principia Mathematicia to *56 message about the IRON CURTAIN atomic mass conflict in Hungary uprising in year 1956. Iron-56 (56Fe) is the most common isotope of iron. About 91.754% of all iron is iron-56. Of all isotopes, iron-56 has the lowest mass per nucleon. With 8.8 MeV . Below, Fe --> Ferrous oxide instituion Fe --> FermiLAB males are under Fe= Female thought control systems ..... thus their male scientists are forbidden to communiate with others about the C.P. SNOW and Russell/Whitehead message --> to *56 --> message for Illinois ROUTE 56 people which includes the FermiLAB geography location. Thus you see a few pieces to several puzzles about society and the CRYPTIC news articles printed in newspapers. Maybe, in year 2014 some graduate strudent may continue this research direction and help explain the LANGUAGE tricks and decoy words used to manipulate math, physics and engineering students and their professors.